You don’t have to be a beauty guru or know your salicylic acid from your glycolic acids to know the international cult status that the South Korean beauty market has amassed over the past few years. From the exporting culture of K-Pop and Korean food, Korean beauty has paved the way as South Korea’s main export. Sheet masks, BB and CC creams, snail masks and facial mists are just a few of the modern K-beauty innovations to be hailed as the next best thing by the likes of Vogue, Cosmopolitan and Elle. But what is Korean beautycare, and how has it built up such a cult following in the West? We dove right in to see the impact this Eastern style of beauty is having on a Western market. Korean beautycare (or K-beauty) products consist of high quality, innovative concoctions that involve exotic ingredients like snail mucus, plant essences and even placenta, cutely packaged with sensorial cues to create a luxury product with an affordable price tag. Standing apart from its peers, K-beauty is marketed on social media platforms with buzz words that are aimed at a generation with an ever-evolving palate for the next best thing – and with all these clever marketing tactics in play, it’s hardly a surprise that Korean beauty has become the sensation it is today. Korean brands are known for offering “prestige-quality” products at a mass-market price point; for instance, a high-quality moisturiser that could be sold in the US for $50-200 are sold for as little as $10-$20 in Korea. Even with lower price points, there’s no impact on the consumer spend, as Korean women are reported to still spend more than twice as much on skincare as American women per capita. Even Korea’s male population are fully immersed in the beauty industry, reportedly spending more on skincare than males in any other country in the world. 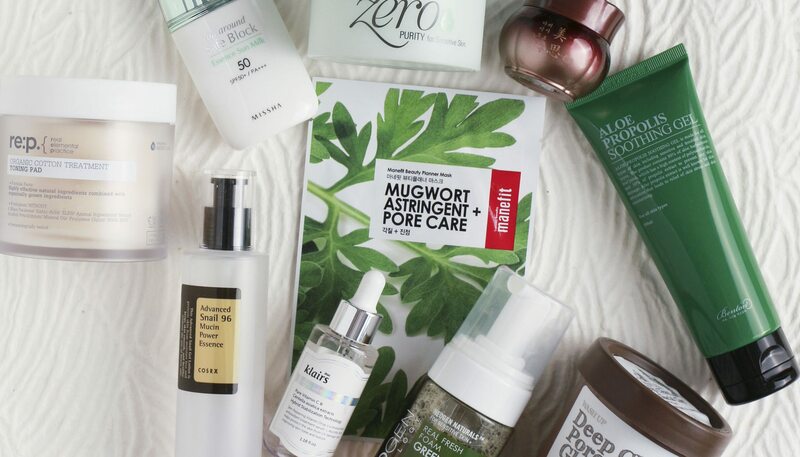 The K-beauty industry offers such a diverse array of choice in the skincare and make-up arena compared to its Western counterparts. With a precise regime that can include up to 10 steps, skincare in Korea is not for the faint-hearted. The roots of this lie in the cultural approach to beauty. Skincare is not seen as a chore in Korea, but instead more of a self-care routine – a time for people to love themselves. Something that is often engrained in them at a young age, the Korean culture is entranced by the pursuit of absolute perfection. The 10-step routine favoured in South Korea involves a vast range of different product options, and these can include scented and non-scented treatments, oil and water based cleansers, gels and lotions and also mists and overnight face masks. The freedom to find your own perfect cleansing routine combined with such a mammoth choice is what many consumers in the West find so enticing. Why is it such a big sector? Taking its place amongst the top 10 global beauty markets as the fourth largest skincare market in the world, the South Korean beauty industry is estimated to be worth just over $13 billion (£9.75 billion) in 2017, with facial skincare accounting for more than half (51%) of the total market share. The industry first experienced a boom when the Korean government invested money into pushing Korean culture and products worldwide, also known as the ‘Hallyu wave’, and has continued to spread rapidly ever since. With the help of government investment, companies have turned their attention to the overseas market, to China, Europe and the USA, where the beauty industries are already thriving. Major beauty suppliers in the USA such as Target now carry popular Korean skincare products, with Target recently saying it chose to exclusively sell 22 products from Korean skincare brand ‘Laneige’ after “comprehensive guest research” showed that “Korean skincare products are among the best in the world.” Not to be left behind on the trend, youth-orientated retail giants Sephora and Urban Outfitters are also dedicating an entire section to K-beauty. Investment from overseas doesn’t end there – with heavyweight company, Unilever, splurging £2 billion to buy Carver Korea (one of the fastest growing skincare brands in South Korea), the fixation with Korean beauty isn’t set to disappear any time soon. Immense consumer demand fuels a fast-paced R&D in Korea. Single-ingredient labs are seen as some of the world’s most cutting-edge places, testing innovative elements such as snail filtrate, potato and even gold. It’s fair to say that South Korea is at the forefront of the research and innovation of beauty and skincare treatments. Last year $7.1 billion (£5.3 billion) of Korean beauty products were exported with an annual 8.2% growth rate. But industry experts say the most successful source of continued demand is the most traditional – word of mouth. Korea’s skincare rapid increase in foreign markets can be attributed to the massive pool of customers mentioning their love for the products, and their friends wanting to replicate the amazing results of the K-beauty phenomenon. It’s well known within the industry that products only truly go viral organically if the products work genuinely excel – thus serving as a testament to the quality of the products themselves. 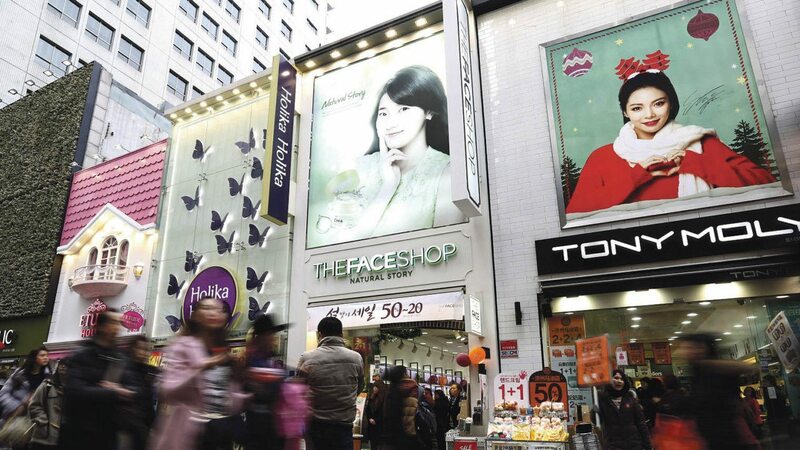 The Korean beauty sector is an immense industry that is still experiencing rapid growth. From the conception of outlandish and wonderful skincare products to the sensational marketing schemes that have begun to grip the beauty markets worldwide, the rise of beauty products from Korea have only just begun. Shaking the social stigma synonymous with products from the East, South Korea has emerged as a sophisticated, progressive alternative to traditional Western skincare – and we couldn’t be more excited. What do you think of the rise of K-beauty in the West? Share your opinions with us in the comments on Facebook and Twitter.